An outline of computing and data acquisition support at JRM & KSU. We use a Linux-based multi-parameter data acquisition system for our more complex experiments. There are now several data acquisition workstations. 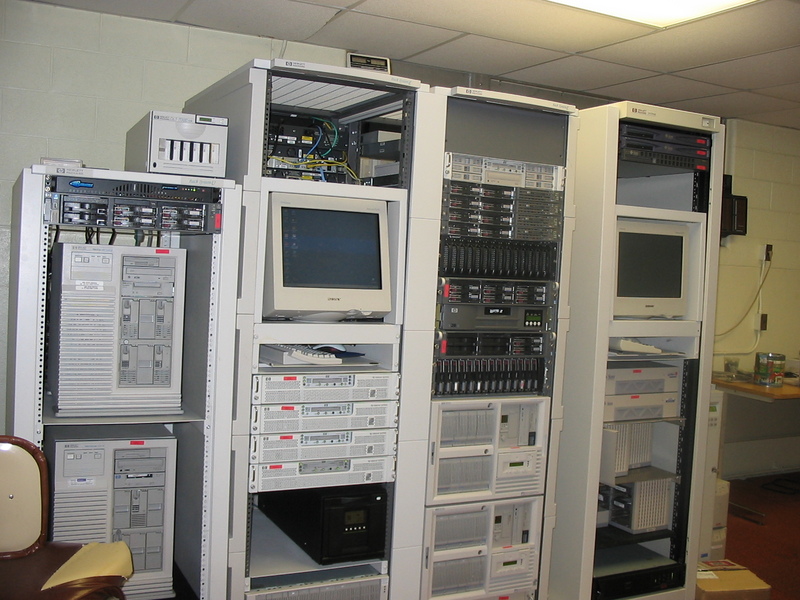 These workstations connect to VME frontends, and via gigabit Ethernet to the central Physics Storage Area Network System (SANs), which provides safe, massive data storage. We also have remotely accessible Linux servers for offline data analysis. 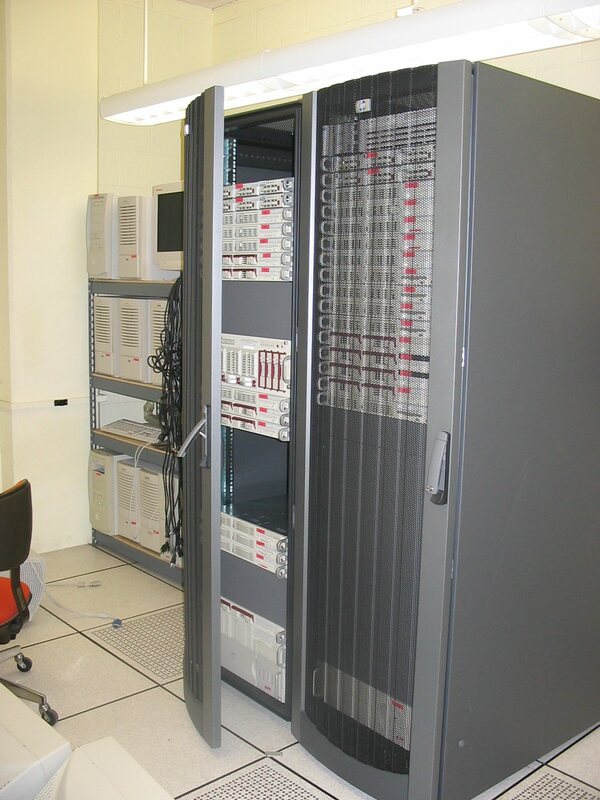 Scientific high-performance computing is provided by a network of Scientific Linux clusters and workstations. A wide variety of computing tools are provided by this system, along with access to other KSU computing resources and to the Internet. Finally, hordes of PC microcomputers are available for process control, data reduction and presentation graphics work. These PCs are part of a Windows network domain that provides system flexibility and ease of maintenance. All basic services of our network are now provided by clustered servers running Windows Server. The Physics domain is administered by the Physics Computing Support Center (PCSC). 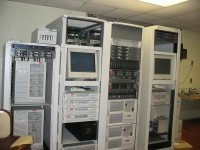 Many of these PCs have speciality software programmed in National Instruments LabView graphical programming language. Rapid development and near-universal vendor support makes LabView an attractive option. Users new to the system should consult the New User's Guide for helpful hints and important information. All of these machine families are extensively networked together to provide easy transfer of data and maintain maximum user productivity and happiness. A campus-wide wireless network is available, as is a dedicated wireless network with the JRM lab. In the event of user unhappiness with Linux systems, contact Kevin Carnes; for JRM Lab PC support, contact Vince Needham; and finally, for general support or for Unix/Linux problems, contact the Physics Computer Support Center (PCSC).